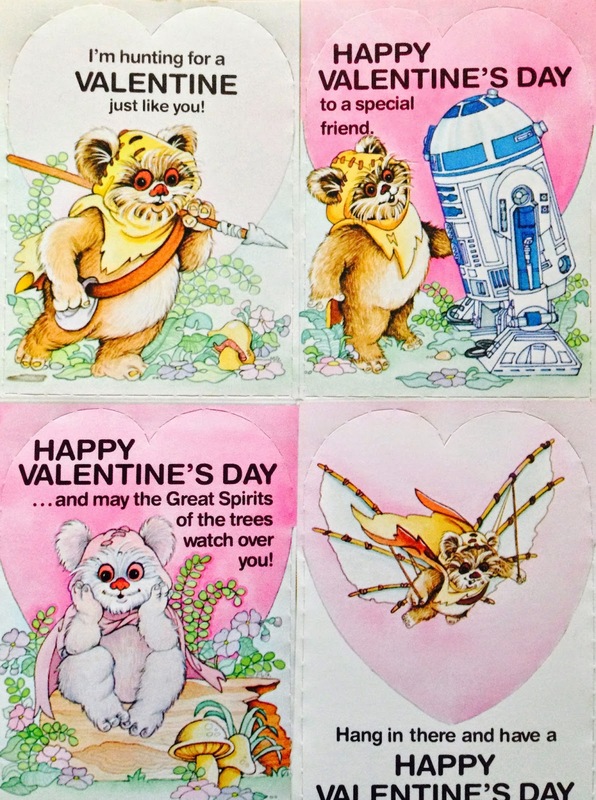 theswca blog: Our Love Will Endor! Think back to Valentine's day in school. That magical day where you're excused to eat copious amounts of sugar cookies in class and spend an afternoon carefully crafting desk mailboxes for your classmates to put Valentines in. You'd just spent the past week scouring the store shelves for the right card set to hand out to your class. The previous evening was spent carefully selecting and addressing cards. 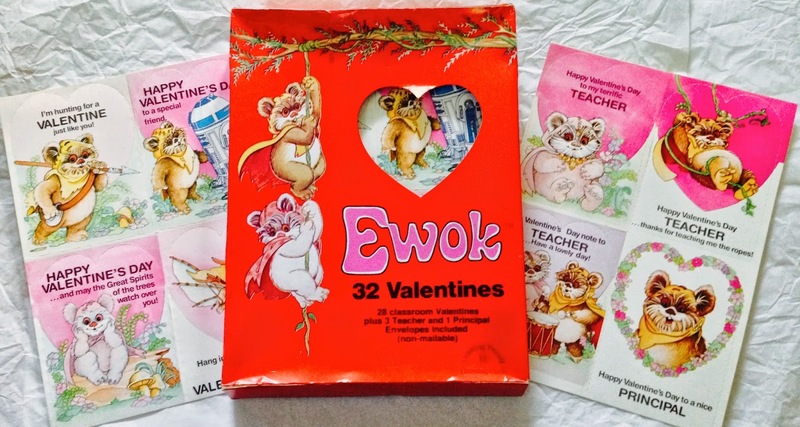 Of all the numerous Star Wars card sets that have come out over the decades, there is one set that stands out above all the rest: Ewok Valentines by Drawing Board from 1983 (a close second being the Return of the Jedi card set). If I were old enough, I would have purchased this set when it first came out for my classmates. Why? It has it all! A generic Valentine for the classmate you have to give a card to? Check. A Valentine for your secret crush? Check. A Valentine for your friend? Check. A Valentine for your teacher? There's 3! A Valentine for your principal? Check. Even better, this set features artwork both on the box and on the cards that is not Photoshopped to death.